As Google continues to drop some of its biggest announcements of the year, those related to Chrome OS remain some of the most exciting, including the fact that Google Play and its millions of Android apps are coming to Chrome OS remains one of the most exciting news. 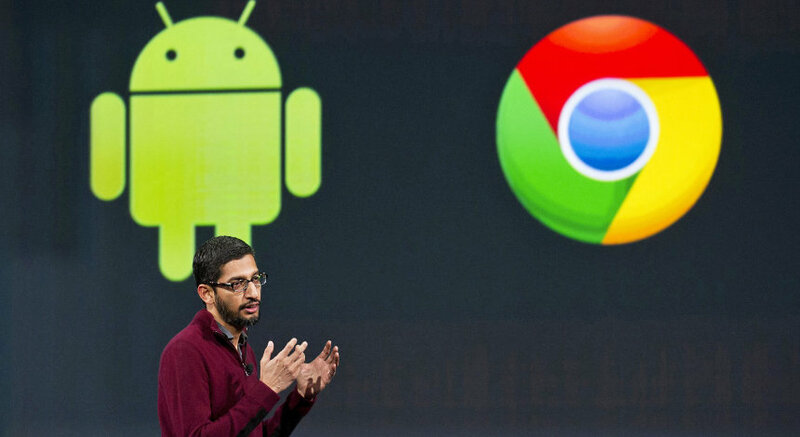 Google announced that Google Play and Android apps will finally be making their way to Chrome OS. Google Play is set to arrive early June in a beta with Chrome OS Developer version 53 rolling out first to Chromebooks (Asus Chromebook Flip, Google’s Pixel 2, and the Acer Chromebook R11), Chromeboxes, and Chromebases. Apparently the stable build would land later on in September, with the list of Chrome OS devices that would support Google Play set to increase, including those with both ARM and x86 architectures. The Play Store will launch on Chromebooks that are compatible through a typical Chrome OS update. Word on the street is that Google is partnering with Chromebook manufacturers to work on new releases that would come pre-loaded with Google Play out of the box. The Play Store will give Chromebooks access to Android apps which users will be able to install and run like any apps downloaded on an Android device. The Chrome OS’ Android apps will be running in three varying layouts, including fullscreen, portrait and landscape. Navigation within the apps will be done using the keyboard, mouse and even touch. Users will also be able to get app notifications, while the apps will access file and inter-app communication within the computer. Google had previously introduced Android apps running on Chrome OS using what was referred to as Android Runtime for Chrome (ARC). The basic idea of this was to run an app on its own silo separately. As for the yet to be released Chrome OS, Google has ensured that the system would be entirely compatible with Android apps, giving them the ability to run natively on the device, similar to the way a regular Chrome app would. Put simply, the complete Android framework will run in a package besides the Chrome system, on a similar level. No barriers will exist between the Android system and the Chrome OS, meaning any Android apps installed, will have access to the entire Chrome OS’ hardware, without any added overhead computation. The fact that the Play Store will soon launch on Chrome OS, makes all of us curious if it will also apply to the Chrome browser. Google stated that at present, the feature will only be a technology for running Android apps on Chrome OS, with no mention of whether it would make it to the Chrome browser. It is understandable to wonder if the introduction of the play Store on Chrome Os will mean the end of the Chrome Web Store. Fortunately, the Chrome Web Store and its Chrome apps and will still be available and functional on the devices. The Store which is already available on Chrome OS running devices, will remain the go to location for Chrome extensions on Mac OS X and Windows, so it makes more sense for it to stick around. This should be a bonus to users, who apart from getting individual apps from the Play Store will also take advantage of all that the Chrome Web Store has to offer. As for issues arising from duplicated apps downloaded from both the stores, efforts are still being made to find a way of differentiating any two similar apps available on both stores. Among the many praises that Chrome OS enjoys, its security and regular updates are at the top of the list universally. Google promises that this will continue to be the case when the installation of Android apps on Chrome OS becomes official. Similar to the way Android apps operate on Android devices, the apps will contained in their separate packages and sand-boxed away from other apps and services. Google maintained that Chrome OS updates will still be rolled out and all systems kept secure even while Android apps continue to run on the Chrome devices. Considering the Play Store support will mean the integration of Android and Chrome OS experiences within a single device, manufacturers may be worried about whether this means the choice between either going for an Android or Chrome OS as a system to develop from. Google’s Hiroshi Lockheimer however stated that no such requirements depending on the type of device or screen size would exist. This means that even though manufacturers would lean towards Chrome OS as the best option for larger devices with a keyboard and mouse, and Android OS for smaller built touch-supported devices, they are free to cross these conventional expectations and do something different now that Android apps are supported on Chrome OS.